We are committed to making our website accessible to as many people as possible. 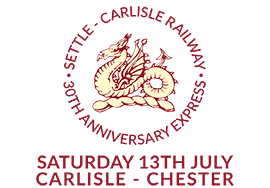 The Settle-Carlisle Railway website has been developed to best practice coding conventions corresponding with guidelines stipulated by the World Wide Web Consortium (W3C) Web Accessibility Initiative (WAI) Web Content Accessibility Guidelines 2.0 (WCAG 2.0). The majority of the site meets the WCAG 2.0 standard, however, we recognise that certain aspects of the site do not currently meet this standard. Text Size You can change the text size on this website via your browser. To change the text size in Chrome, Firefox, Safari or Internet Explorer simply hold down the ‘Ctrl’ key on your keyboard and hit either the ‘-‘ or ‘+’ symbols.